There‘s a very good reason why you should let sleeping dogs lie, as 9-year-old Johanna discovers. Growing up a good Catholic girl in the provincial Austrian town of Wels in the late 1960s, she learns from her grandmother her family‘s secret: they are Jewish. Life now starts to change, uncomfortably so: the caretaker bullies her, the religion teacher ignores her and her traumatised mother stops talking to people. Both older women know exactly who were the very worst Nazis back then. After the war they reinvented themselves as devout Catholics. Johanna, however, is determined not to hide, she wants to be proud of her heritage and now becomes Hanna. But the „sleeping dogs“ are awake, they are starting to bark and they still have their teeth. 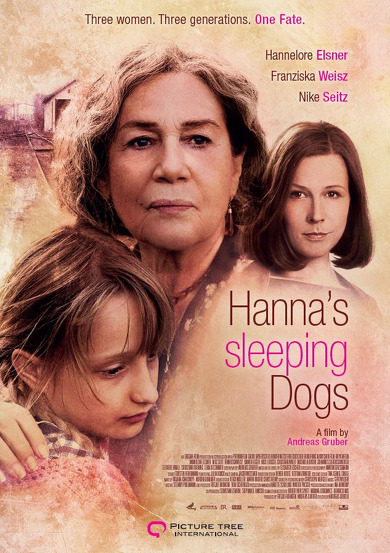 HANNA‘S SLEEPING DOGS is based on the novel SCHLAFENDE HUNDE by Elisabeth Escher, in which she recounts her true life experience. Writer-director Andreas Gruber grew up with her in Wels in the 1960s and is thus also personally familiar with the story‘s milieu.